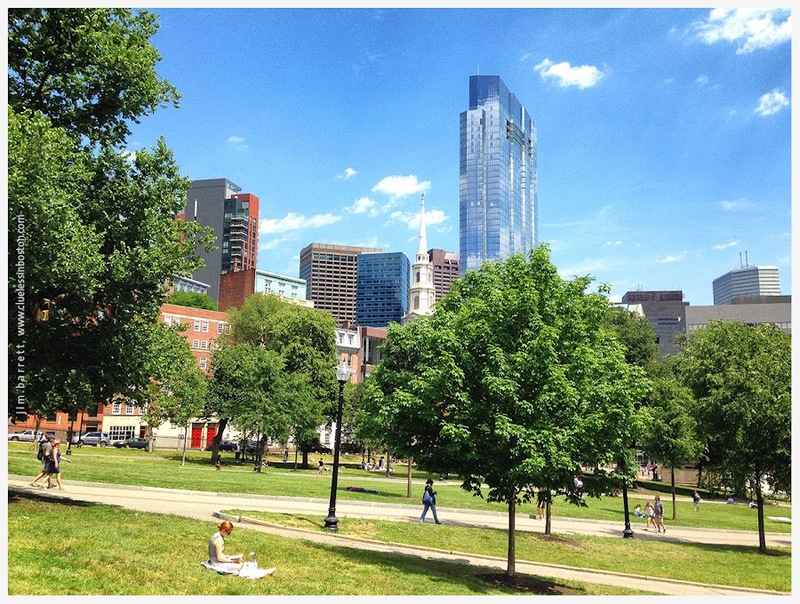 Boston Common yesterday afternoon. The church spire visible in the center of the image is the Park Street Church on the corner of Park and Tremont (Brimstone Corner). The sparkling new glass building in the background is on the site of the old Filene's store, now a 52 story tower in the Downtown Crossing area. Oh, I bet that skyscraper has cause some controversy but I quite like it. Great photo! Thanks for identifying the glass building. Always nice to have a walk down memory lane - the Park Street Station by the church was my home-base T Station for 3 years. Some of these new buildings take a while to get used to.